Review: Hail the Coen Brothers! George Clooney in Hail Ceasar! Image credit: Universal Pictures. "Hail Caesar!" takes the Coen brothers deeper into the Hollywood mainstream, but it won't disappoint fans of their quirky and absurdist cinematic style. Although the movie's poster and trailer didn't do too much for me, as soon as I found out who directed Hail Caesar! I made plans to go see it with my French boyfriend. He had never seen a Coen brothers film, except for The Big Lebowski (which everyone seems to have seen). I, on the other hand, am a huge Coen brothers fan and have seen many of their quirky, outside-the-box movies. Joel and Ethan Coen, born in the fifties in Minnesota, have made more than 15 films ranging from comedy to horror and virtually every genre in between. Some of their cult classics are Blood Simple (1984), Fargo (1996), The Big Lebowski (1998), O Brother Where Art Thou? (2000), and No Country for Old Men (2007). The Coen brothers are famous for their uniquely quirky style, which combines an absurd, dark and twisted sense of humor in different genres and scenarios. They also have a great sense of detail. Every scene in their films is constructed with premeditation; nothing is left to chance. Fargo, the first Coen brothers I saw, left a deep impression me. It was cinema as art. True, the Coen brothers have since moved towards the Hollywood mainstream — which, for me, has taken away some of their artistic singularity — but their style remains uniquely original. If, like other directors, the Coen brothers have what in the world of film (or art) is called a muse, it is surely George Clooney. He starred in O Brother Where Art Thou? and returns in the lead role in Hail Caesar! Without spoiling, Hail Caesar! is about a Hollywood fixer in the fifties (played wonderfully by Josh Brolin) who is struggling to keep everything together and make the movie studio run properly. Things take a turn, however, when one of his stars (Clooney) gets kidnapped. 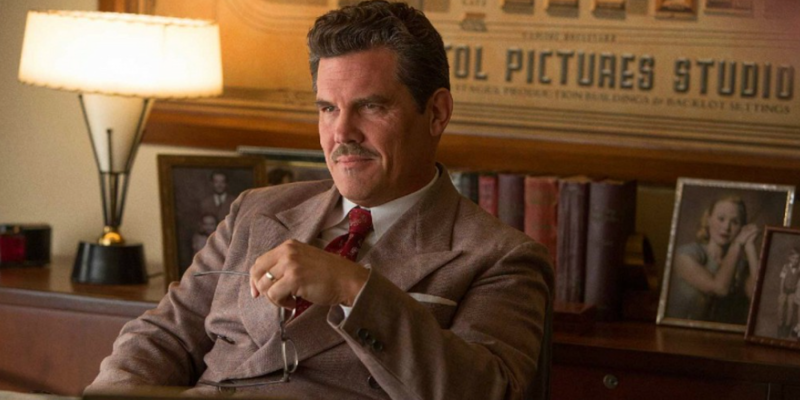 Josh Brolin in Hail Caesar! Image credit: Universal Pictures. Besides Clooney and Brolin, the cast includes the beautifully talented Scarlett Johansson and the skilled Ralph Fiennes. Other cast members, such as Channing Tatum and Jonah Hill (who are funny but far from great actors) reveal the film's mainstream appeal. Yet the movie still has that crazy, absurd, and grotesque aspect that is the trademark of so many Coen brothers films. The fast pace and rhythm underscore the absurdity of the events, but in this film it's taken a pinch too far. I got in a few good laughs but, I must admit, was bored from time to time. Perhaps I was a little disappointed at the mainstream flavor of this film, though I must confess that Channing Tatum and Jonah Hill turned out to be excellent in their roles. 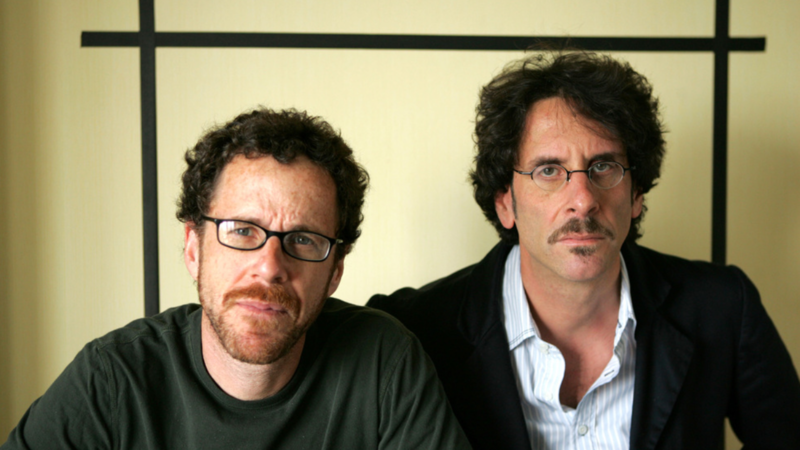 The Coen brothers. Image credit: Tribeca Films. After the film when my boyfriend and I were leaving the theater, he said he didn't like the movie at all. He found the pacing so fast that, for him, the story was almost incomprehensible. He also found the Coen brothers' grotesque sensibility a little too much for his taste. I defended the film, perhaps because I'm a Coen brothers fan and understood the film's subtle aspects. Indeed, I would say that that Hail Caesar! will be enjoyed more by Coen brothers fans (and not just The Big Lebowski, please) who know and understand their uniquely quirky style. For others, go back and watch the Coen brothers cult classics first.